Thinking about starting a bullet journal? Well, here it is. An easy and fast way to achieve goals. Okay at first, what is a Bullet journal? 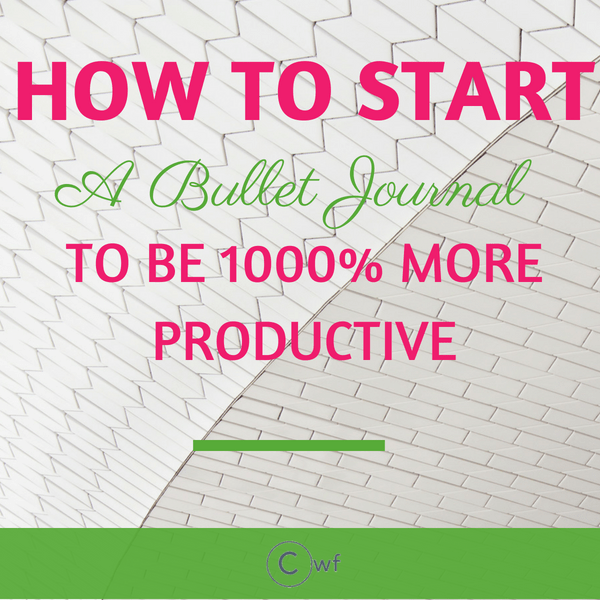 A bullet journal is a very versatile and highly customizable system. You can make it very simple or fancy depending on your needs. It helps us organize our goals, to-do lists, daily routines, future plans and so on. If you are tired being non-productive for the day, then bullet journaling is the answer. If your future goals seem dreamy as there are no definitive steps to reach out to it then you should try bullet journaling. A bullet journal is a solution for being organized. And it is real. Have you tried to use your phone calendar? The sticky notes all over your room wall? Okay, the Post-it notes? Well, you can never track your progress with the above-mentioned ways until you put everything in a single place. And that is how bullet journal works. You think you can simply write in an empty notebook. No that won’t work. If you start writing in a plain notebook, you will not be able to find even where you jotted down your goals or where you have listed your daily works. So a bullet journal is most necessary to keep things organized. 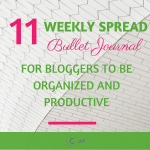 First and foremost it is the mindset of being organized in our daily lives is what motivates us to create a bullet journal. When we create our own flexible bullet journal then only the rows and columns which are important to us can be included. So before you dive in, let us check the tools and resources you require. When you are just starting out then do not be overwhelmed with the embellishments. You can always keep decorating your journal as you go along. Start with simple steps to make the actual purpose clear to you. Any notebook will do. It is not about any fancy planner. A plain white or a lined one. I prefer a spiral notebook for the ease of its folding without putting scratches on the paper. 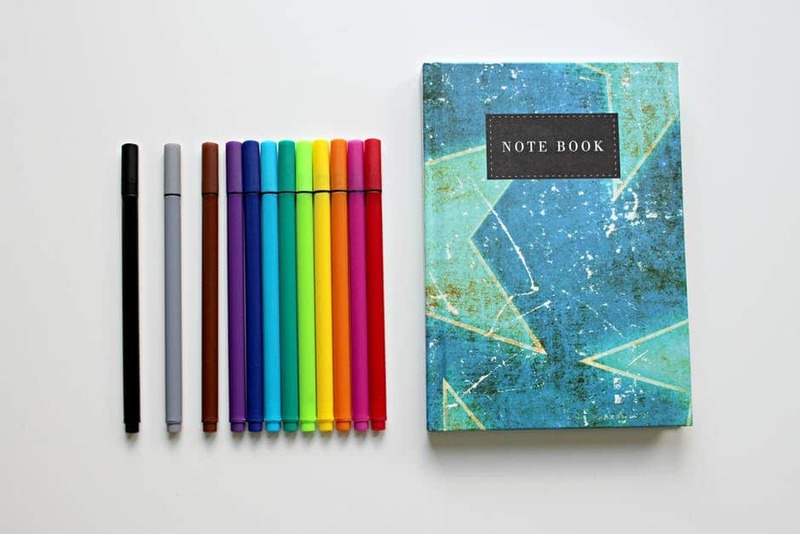 Do not use a very cheap notebook as its paper will lack the luster and durability when you start with decorating. Use some colored pens of your choice. I love to use the glitter pens for highlighting. Either you can buy a whole set of colored pens or can use just the theme colors (if any) of your blog. 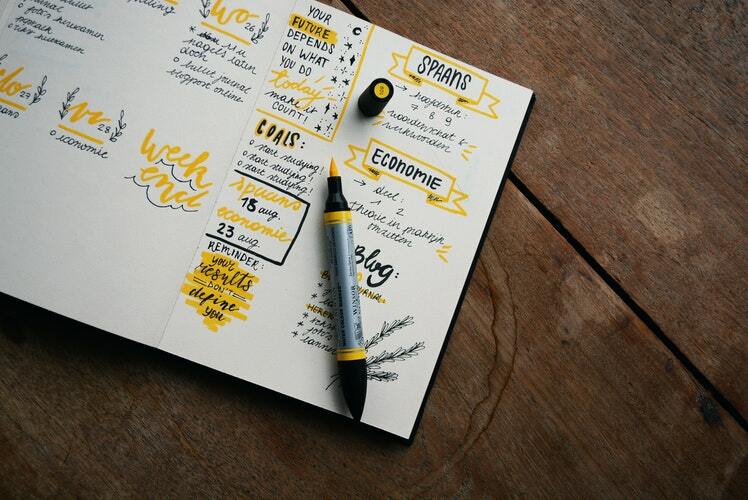 You SHOULD use some calligraphic pens as it will make your journal look good naturally. Your Index is the first step to organizing. It is the running list of pages which you keep on adding on to the journal. Number your notebook pages and keep on updating your index as you build up your weekly/ monthly logs. Add only the pages which are important to look over or refer later. So, do not add the daily spreads in the index. It will be messing up the whole system. After allocating 2-3 pages for Index, then you should concentrate on writing down your GOALS. It can be a yearly goal or any other future goals. The future spreads are for the ideas to make your monthly and weekly spreads accordingly. Looking into the future spreads can be really helpful in keeping you motivated for the goals you have set for yourself. Once your future spread is ready, next you will start with monthly spreads. I prefer to start my monthly spreads as to-do lists for the month. I can always keep on adding my tasks as a running list. You can also start your monthly spreads as goals for the month and then can be followed by the to-do lists. 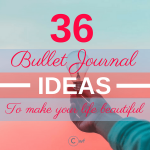 Make an interesting bullet journal which you will like to look over. Not only the rock solids to do tasks but also you can also add the fun elements or events that happened for the month. Make it a fun and memorable journey. After your goal is set for the month, the next comes is the weekly spreads. Weekly spreads actually help to break down the monthly spread into small actionable tasks. You can also have small weekly goals set. You can include important appointments or events and put tasks based on the priority. 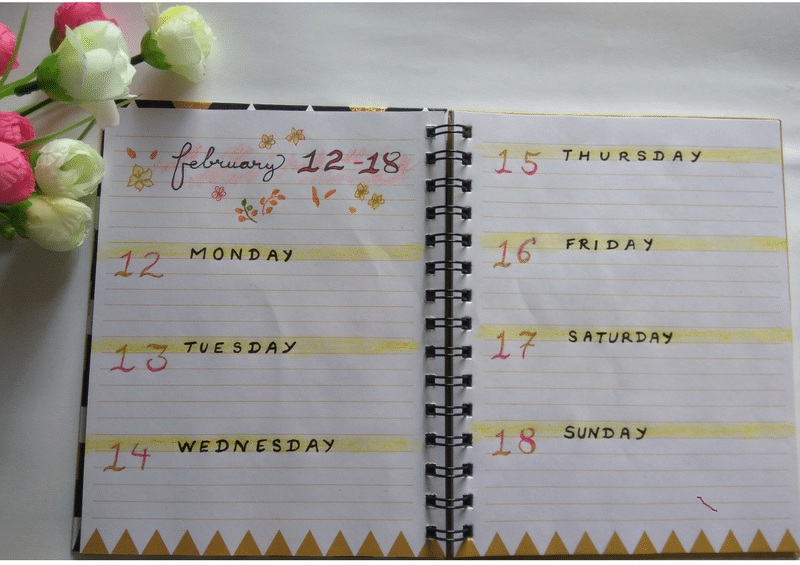 Here is how my first weekly planner looked like. Daily spreads are the ground level of bullet journaling. I never include any goal for the current day. For me, it is a bunch of to-do lists which are in a hurry to accomplish. Collections are similar to your future log. A future log is a much more organized form of writing goals where you know exactly what you want. Whereas collections are a bunch of ideas or topics or you can say as wishlists which you would like to include in your yearly or monthly goals. You can take about 10-15 pages from the back of your notebook and write the topics or wishes which you would like to jot down as your wishes. Always put a tick or some symbols as per your choice when your task or any particular goal is completed. This will help you to push yourself to accomplish all the goals and tasks which you have added to your bullet journal. 1. In the beginning, you are bound to make mistakes. So take up some notebook which you already have in your house like a practice one. 2. Before you start writing your own, go through the Pinterest and have some ideas about different visuals of bullet journals. Create a board or a secret board on Pinterest with the bullet journals you like. You can always come over to have a look. 3. You do not have to start everything at once and it need not be perfect at the first go. It takes practice. So keep it as simple as possible. The main motto of bullet journaling is to be motivated, completing our tasks on time and keeping a track of our works. So the designs and artistic calibers we can include later to make us feel better. 4. If you want to include some designs then do it with a pencil at first. As you become a pro in it then you will be able to complete it at a faster pace. You can make a bullet journal for your meal plans, your academics, relationships, blogging or whatever field you want to be productive. Bullet Journaling is a part of Time Management & Time management is the beginning of an organized & successful blog. This post may contain affiliate links. Which means if you buy anything from me, I would receive a small commission without you being charged any extra. How to plan a productive week in advance? 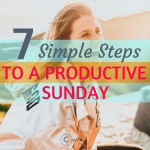 How to be more productive as a blogger?